The ex-Donegal manager is taking his UEFA ‘B’ coaching badges. Jim McGuinness has been working exclusively with Celtic's first team this season. JIM MCGUINNESS’S ROLE with the first-team at recently crowned Scottish Premier league champions Glasgow Celtic is set to grow next season. But don’t rule out the 2012 All-Ireland winning manager donning the bainisteoir bib in Gaelic football again. McGuinness was recruited by the Scottish football giants when Neil Lennon was in charge to work as a performance consultant with their youth teams. His influence has extended to the first-team since the appointment of Ronny Deila as manager last summer. The Donegal man, currently working to get his UEFA coaching badges, has intimated that Deila will hand over to him the responsibility for conducting some pre-season training sessions. His focus is on developing his soccer career but that doesn’t mean he’s slamming the door shut on Gaelic football. “Things have been going really well,” McGuinness revealed yesterday when speaking from the Sky Sports Glasgow studio after it was announced he will be a Gaelic football analyst for the broadcaster this summer. “It’s been a very busy schedule in terms of juggling Celtic in a full-time capacity and working exclusively with the first team now. I’ve really enjoyed working with Ronnie and the coaches. “I’m looking forward to starting my UEFA “B” in two weeks’ time. What I want to do at the moment is use the badges to make myself in my own job. I do a lot of one-to-ones with players every single day and you do get into very in-depth conversations with them. There’s a lot of tactical stuff as well. “I’ve been a coach and I’d like to challenge myself in that area to see what I can do. The coaches with Celtic have been very good as well. They’ve given me a couple of hours here and there in terms of defensive structures, what they do and what they like to do. But will the shadow of McGuinness return to loom over the inter-county Gaelic football managerial landscape in the future? “I would never rule it out. I’ve two sons, one five and one four, and there’s probably a higher percentage chance of being involved with the Glenties U8’s or U10’s then there is with Donegal in the short term! “I love me county and I’m very proud of what I’ve achieved. I know the boys aren’t finished yet. But the period I had with them for four years with the seniors and the one year with the 21’s were probably the best years of my life in terms of experience and growing as a person and the people you were working with. Email “Jim McGuinness is taking on a bigger role at Celtic but don't rule out a Gaelic football return”. 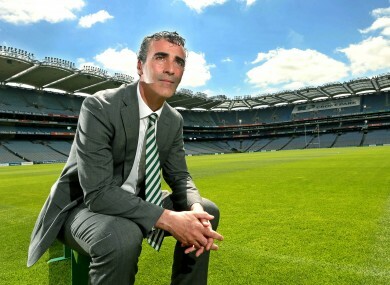 Feedback on “Jim McGuinness is taking on a bigger role at Celtic but don't rule out a Gaelic football return”.